Here're most Instagenic spots in Kagawa Prefecture, Japan. 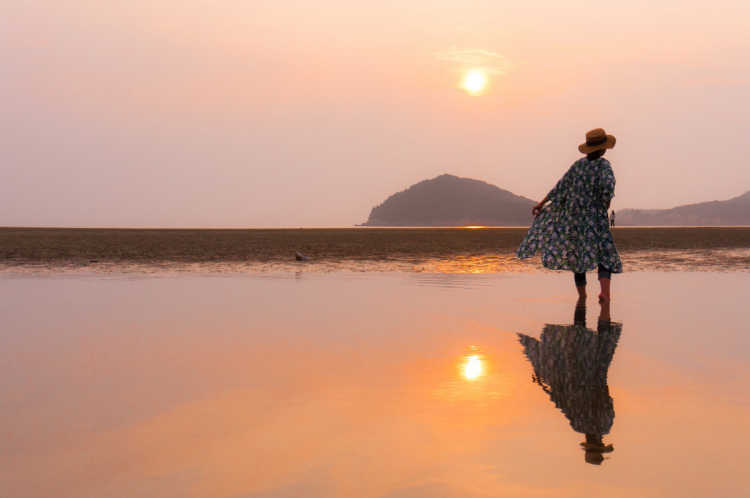 There're many instagram worthy destinations you can get 'like' in your SNS, such as great views of Seto Inland Sea and some photogenic arts. Then, we selected best instagenic spots from 'special places to travel in Kagawa' that were posted in City's Pride by Japanese travelers and the locals in the know. Chichibugahama Beach is popular as a beautiful place for sunset viewing, and has a long shoal to the offshore. The reflecting scene on the water surface is like ' Salar de Uyuni' in Bolivia, since there's no wave in the shoal.◎The beach is about 1km long. Parking lot for more than 100 cars (it tolls in the season for swimming). 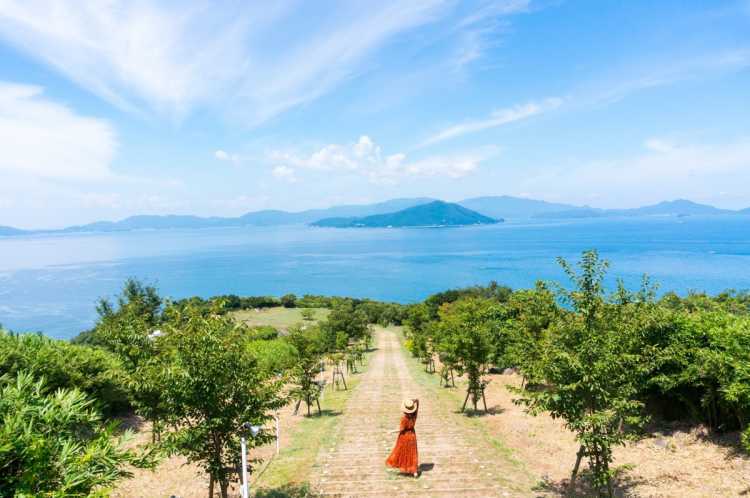 At Teshima Island where many art works are exhibited, the islanders admire the panoramic view of Setouchi as beautiful as the arts. 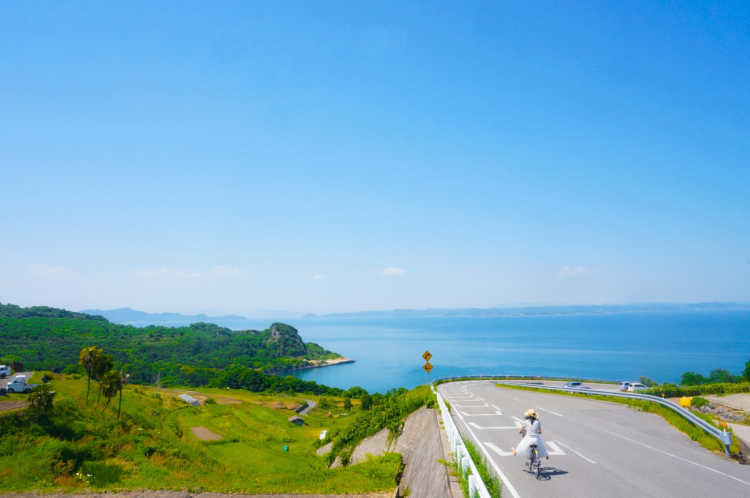 The scenery seen from Danyama Mountain in the center of the island, is so beautiful that I'll never forget this forever.◎It'll be convenient to rent electric bicycles or motorbikes in Teshima Island. 20 or 30 min from the foot of Danyama Mountain by an electric bicycle. 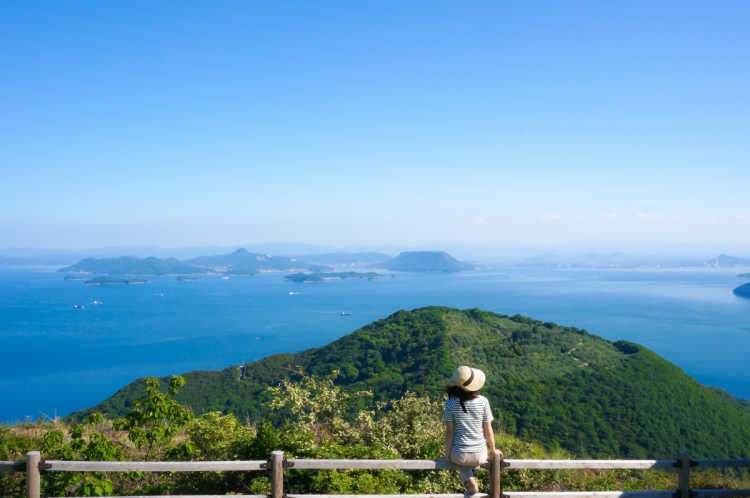 Located at Ogushi Peninsula projecting into Seto Inland Sea, Ogushi Nature Park with camp site and an open-air concert arena. From the observatory, the panoramic view of Seto Inland Sea without any obstruction. You can see the photogenic and picturesque view!◎Access: by car. No entrance fee. Parking lot is available. According to one theory, this shrine enshrined Toyotama-hime who is a grandmother of the first Japanese Emperor Kammu, and known as a god for an easy delivery of baby. The scenery from the shrine is nice and cats living in Ogi-jima Island will give you a balm.◎A small hill overlooking the Seto Inland Sea. Whenever you visit, cats are napping here. You can arrive the shrine eventually when you walk around the Ogi Island without searching for, because there're some signboards all over the community. The sand beach appearing by the tidal range is called Angel Road, and it's said that lovers who cross this road by holding hands can become happy. I recommend to visit here at romantic dusk.◎2 times in a day, you can cross the road during 2 hours before and after low tide. You need to check the time of low tide beforehand. 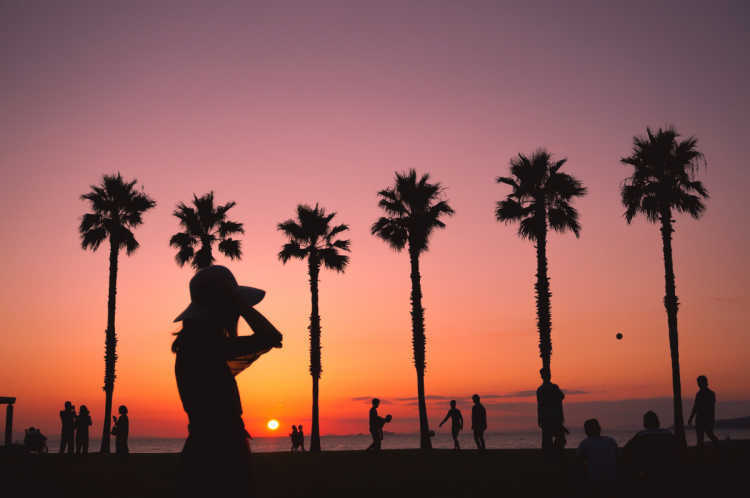 Ichinomiya Park located along the seashore, is full of resort air like Hawaii with the lawn to the whole park and palm trees. And it's selected as 'Lover's Sanctuary' and popular spot to see the romantic sunset. Let's ring a bell, too!◎Many people come to take pictures of the scenery of sunset. Free parking lot is available. Access: 5 min by car from Onohara IC. Hydrangeas coloring the slope are very impressive. A walk in the lush grove has beautiful blue hydrangeas and makes very fantastic scenery. 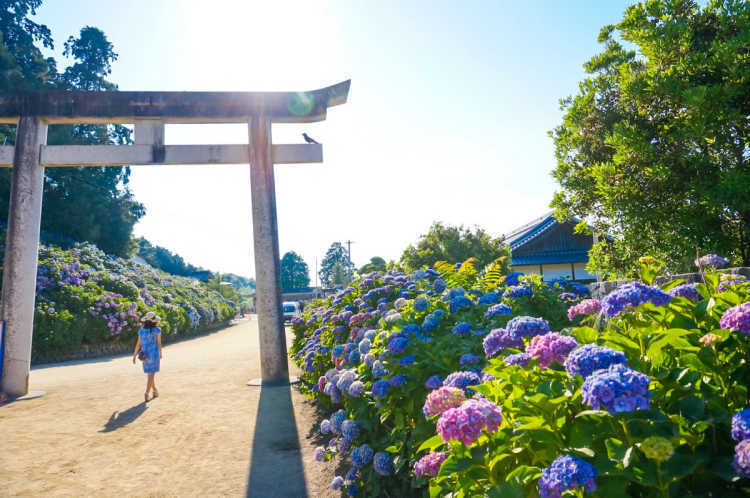 Hydrangea Festival is held in the middle of June every year.◎30 min could be enough to see slowly around the precinct and walk. Free parking lot is available. 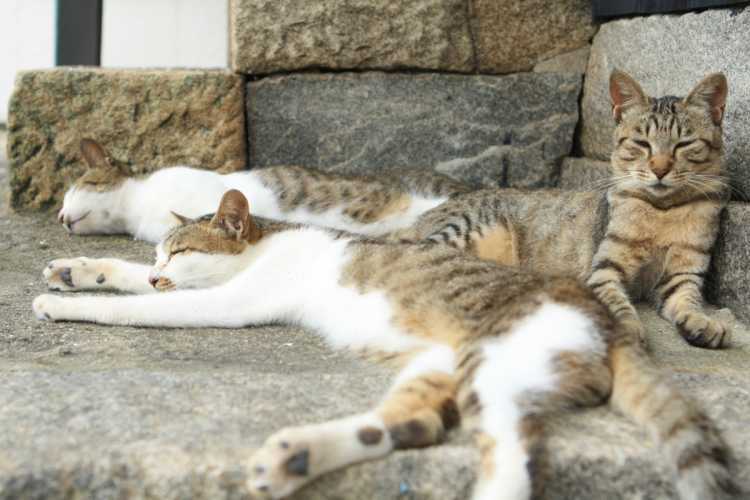 Sanagi-shima Island is located on the Seto Inland Sea, and it has become well known as a 'cat island' where the number of cats is bigger then that of people. 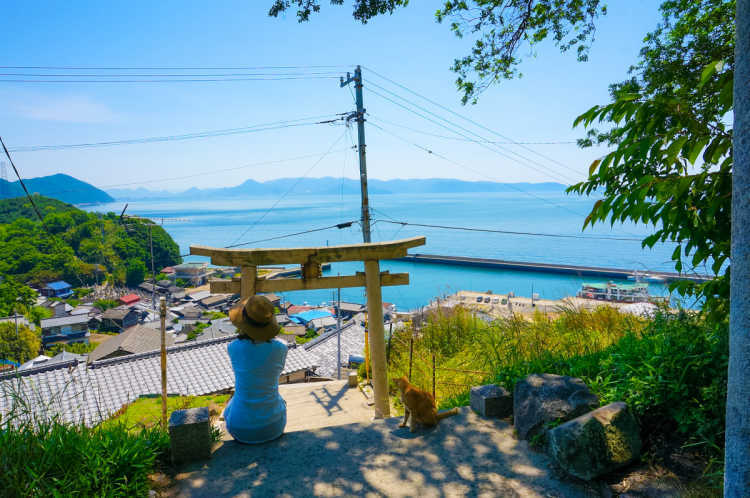 In the island, the cats will welcome you.◎Access: 50 min from Tadotsu Port by Sanyo Kisen Ferry There're not any convenient stores nor vending machines. A white huge stainless steel art got an idea from the 28th new island of Naoshima Island. 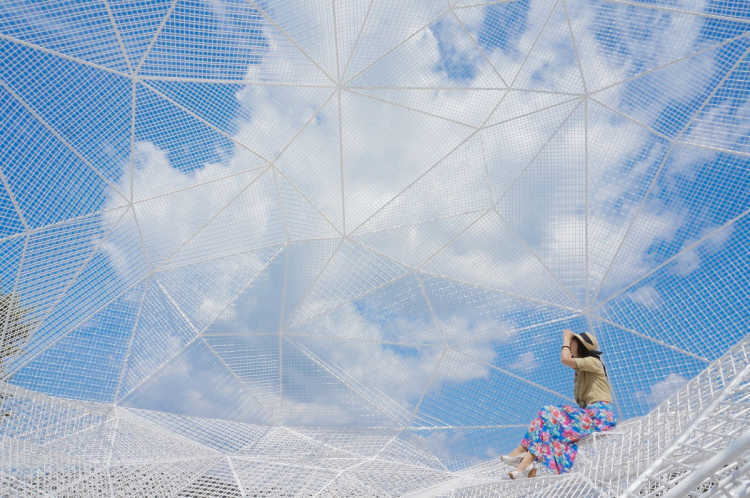 You can enter the art and feel like floating in the sky. Taking pictures as your imaginative way.◎Near Miyanoura Port. You can enjoy for free. Let's go to see it first after you arrive by a ferry. 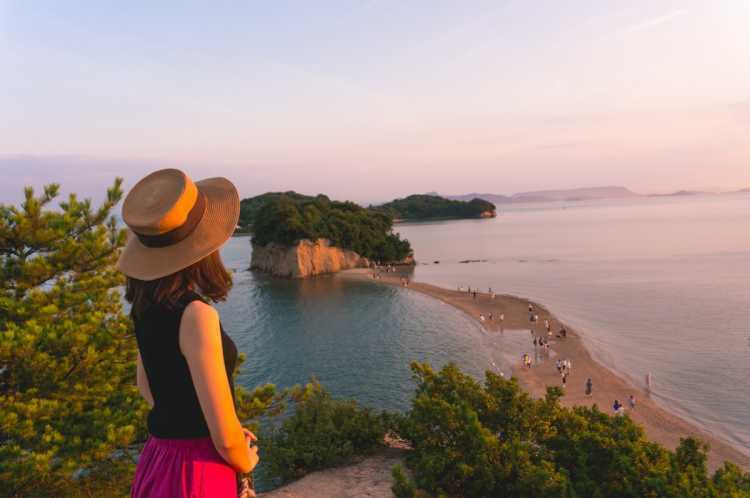 Other photogenic spots that will be nice for your Instagram in Shikoku Region the same as Kagawa Prefecture, are in the following.